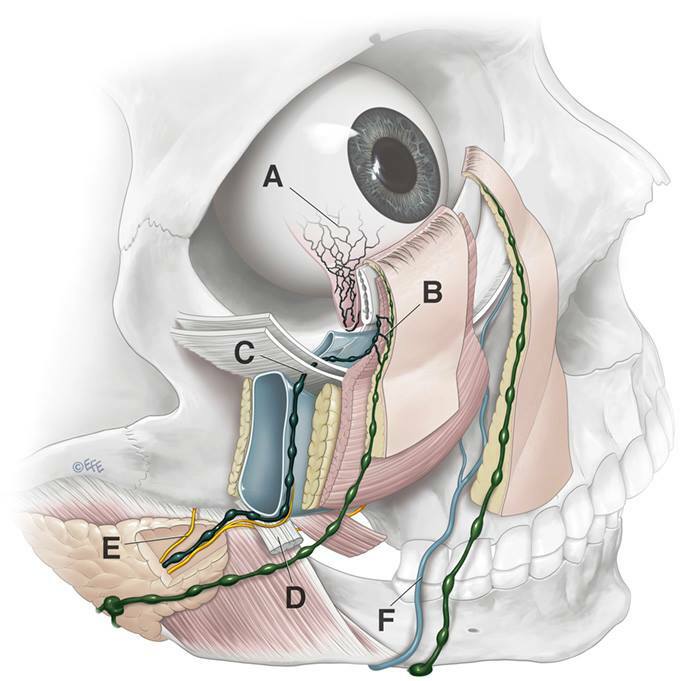 This illustration of the lower eyelid lymphatics is by Levent Efe. The image sheds light on the complex trajectory and relationships of the lymphatic vessels. To see more of Levent’s work, visit his Medical Illustration Sourcebook portfolio and his website, leventefe.com.au.